Online ordering menu for GIOTTO MAESTRO DELLA PIZZA. 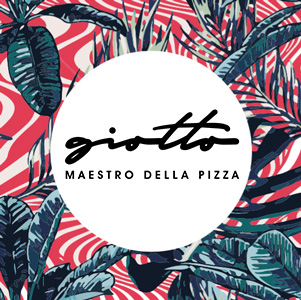 Giotto is a modern Italian Pizzeria and a smart casual eatery concept, which combines superior quality products with a cozy environment surrounded by an exciting contemporary decor. Giotto's pizza and food are prepared using time tested methods that bring out the best flavors so that you may experience an authentic delight from Italy. Feel free to express your tastes and creativity by choosing any combination of our wonderful dishes to satisfy your desires and curiosity. So come on in with an empty stomach and an open mind, to and let us show you what really genuine, healty and fresh food is like.